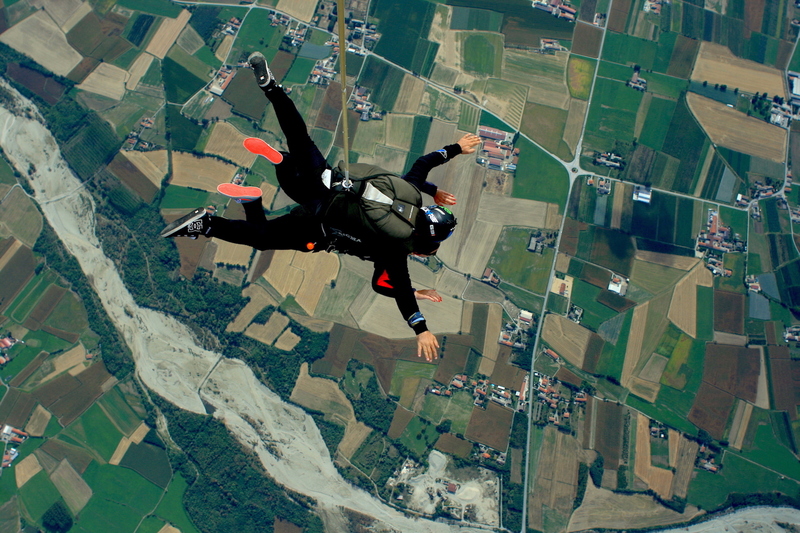 My First Skydiving Experience: Flying Above The Italian Landscapes! 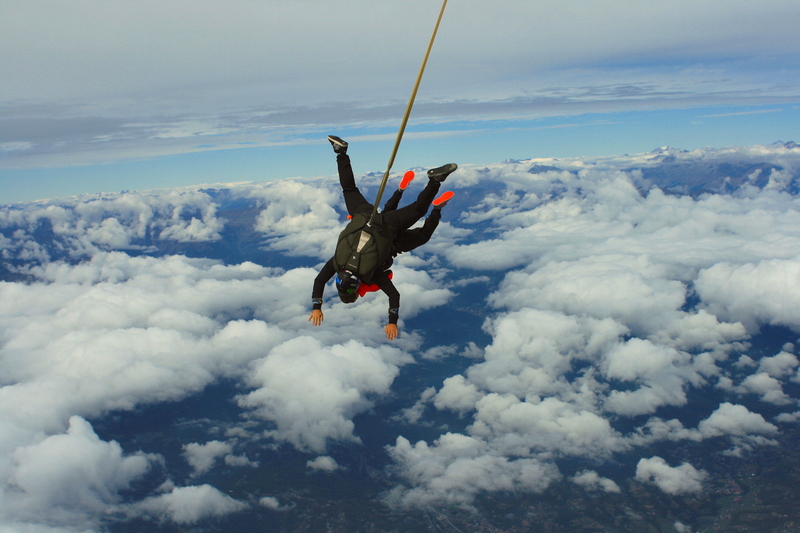 After my bungee jumping experience in Macau, in 2014, I have been thinking for a while to try skydiving as well. 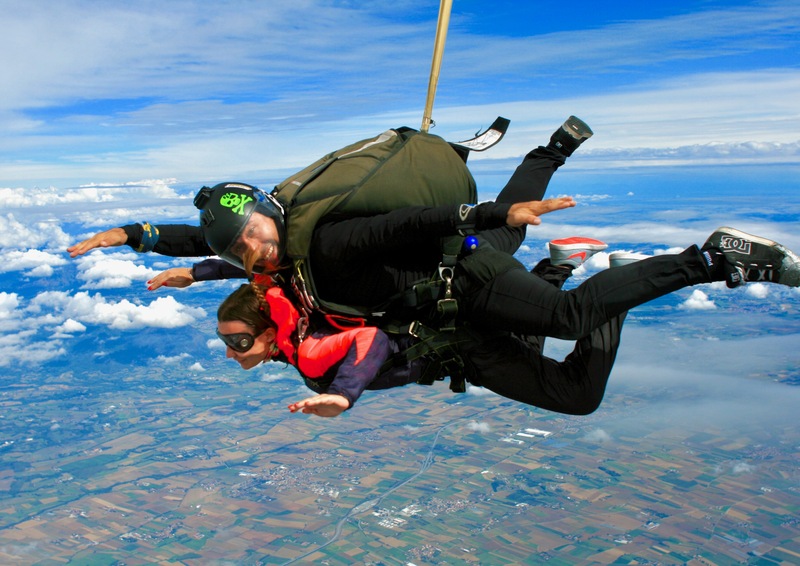 For a couple of years it didn’t happen, so last Christmas I decided to buy a skydive-ticket as a present to my mother! In that way, we had to do it – sooner or later! Finally, a few weeks ago we decided to go and try this crazy experience! We both agree today that doing it together has been absolutely the best idea ever! I have a fabulous relationship with my mother, she is always up for some activities, and she is also extremely fit and sporty, cheerful and funny! The perfect brave partner for this kind of things!!! 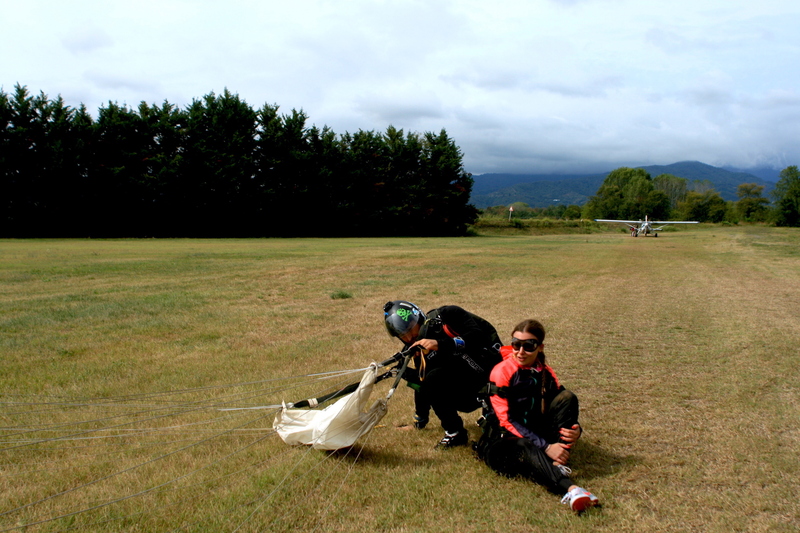 When we arrived at Skydivegarz, the skydive drop zone in Garzigliana, in Italy, we had to wait for 3 hours before the jump, as the weather was not good enough to fly that morning. The waiting time though has been extremely useful to get over the tension because we had the chance to talk, laugh and listen to people stories which helped us to feel comfortable. We flew up to 4,000 meters (13,123 feet!) and then we were ready to jump off. 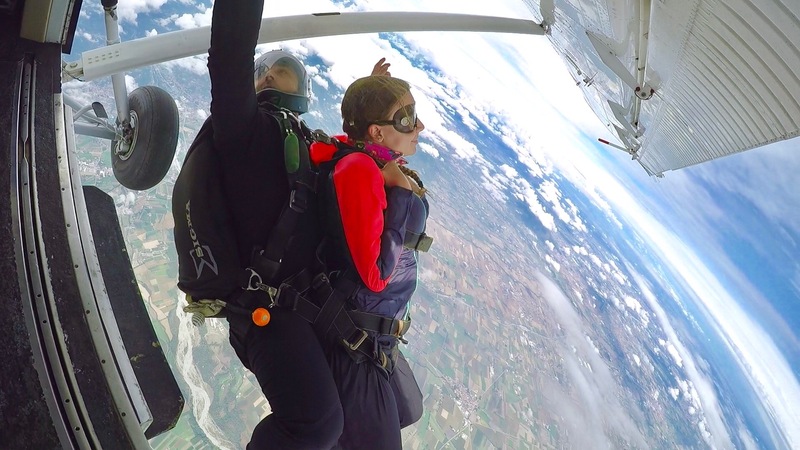 I was the first to skydive with my instructor and when they opened the window and I felt the cold air on my face, seeing nothing below me but clouds, I think my heart stopped! 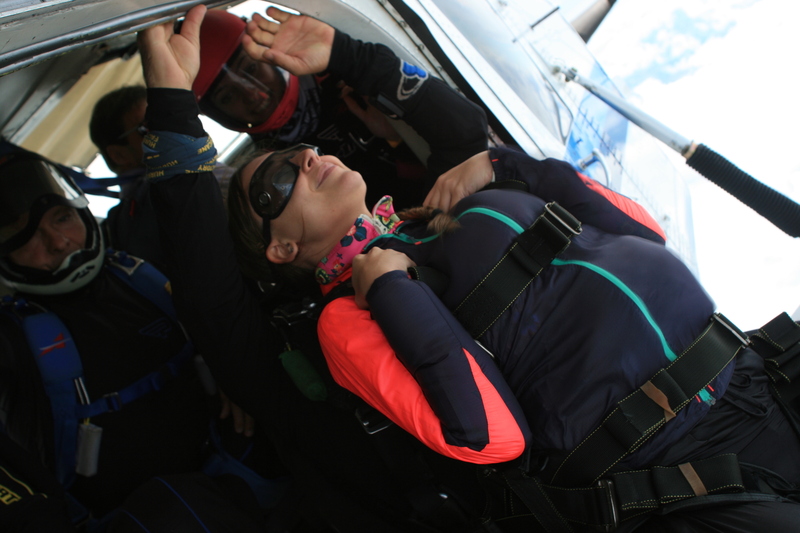 My favorite picture of my skydiving experience! And BIG UP for my mum who was so brave to skydive with me! So glad she had so much fun!!! My mum having so much fun! Myself right after my skydiving experience! And of course a sweet hug with my mother when she landed a minute after myself! 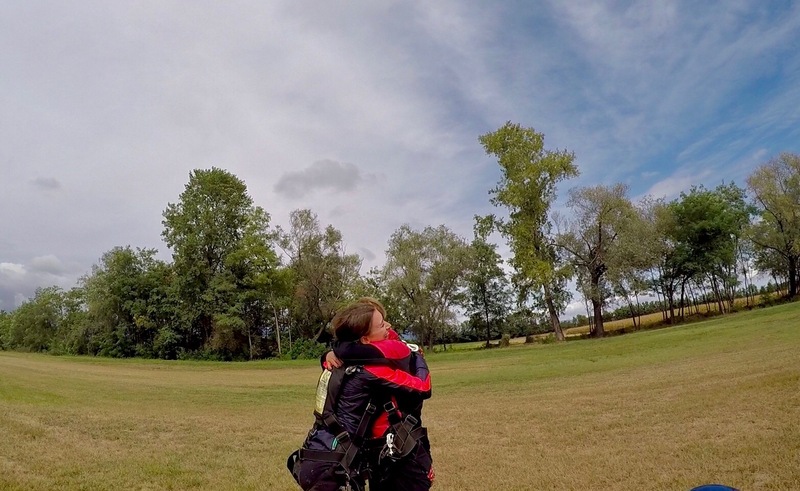 Hugging my mother after our skydiving experience! It has been truly an unforgettable experience, and I am beyond grateful for having done it with my mum! Will you do it as well? I’d highly recommend it! So-much-fun!